delete horny_charger_plate, both from .brf and .txt file. go to the top of the item_kinds1.txt and find a number, should be the second line. For example, 600 and change it to 599. If that does'not help, pm me (forums.taleworlds.com) fnd I'll try to help you. I followed the instructions above but when I load the mod I get this message when its almost done: Unexpected End of File while reading file: Modules/Native\item_kinds1.txt. Any help? i am having a rgl problem when starting "get objekt failed for texture: asmoday_sword1"
can u upload full playable mod whit game ? I don't know how to help you. Send me your item_kinds1.txt. error when finding the twilight head texture because the item is in the armor market but no picture, i can buy it it costs money and has stats but no picture. Ive wondered the shops for-fokin-ever so i guess its rly not there . You're right. It's my mistake. i just downloaded your dragon age, oblivion: weapons and armor mod i think... helmets_weapons.rar is the name of the file. My cuestion is how do i add the items to the OSP Spak_items? 6) open the item_kinds1.txt file that is in the Native directory with notepad and paste what you just copied at the bottom* of the file without overwriting anything. Also, new bow using the wrong shader. Must be "agent_shader" instead of the "iron_shader". I'VE WAITED FOR MORE THAN 1 WEEK ALREADY (in warband) for markets to restock. 1. No. I have only models and textures. Where I can find a latest complete version of this mod? 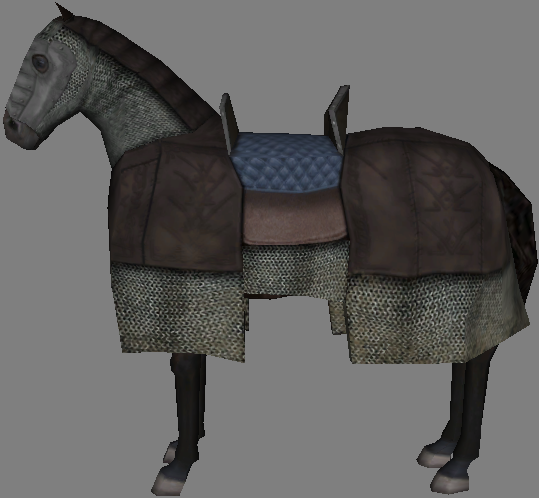 I'm still have a problem with loading textures warhorse_new. Please help me!!!!!!!! There are no boots. Maybe next time. In the near future I will update the pack. Warblades, courtblades and item_kinds1.txt will be added. 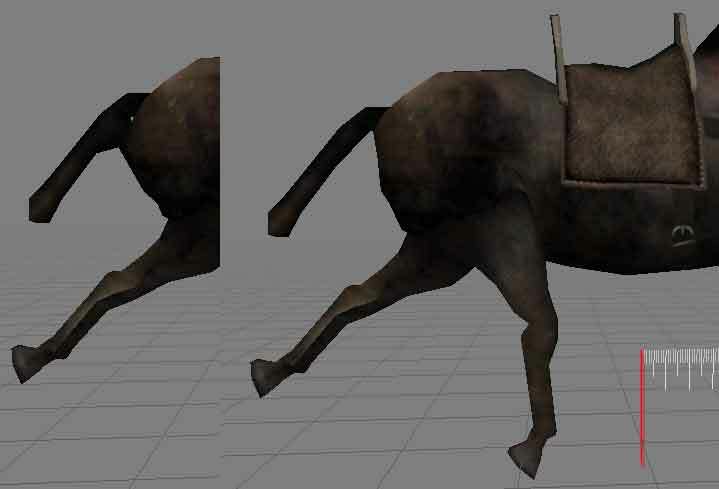 I'm still have a problem with a wrahorse_new. Could u explain me how i must do it to loading game succesfull? I am making an mod called Bandits Rule Calradia(http://forums.taleworlds.com/index.php?topic=159949.new#new). I'm guessing you don't have any other mods installed and are using the native module. If either of these assumptions are wrong, these directions may not work. 6) open the item_kinds1.txt file that is in the Native directory with notepad and paste what you just copied at the bottom of the file without overwriting anything. Use openBrf to combine brf-files and delete unused items. I can try to help you, but I need more information. Hey - Why are all those screenshots in the download file ' scarb'? 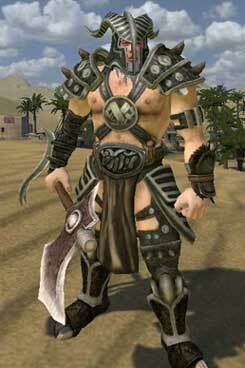 This armor not included in my pack. In the beginning loading screen it says "Unable to open texture file Textures\spak_quiver_bn.dds"
3. Give me a link to your item_kinds1.txt. I will try to help. 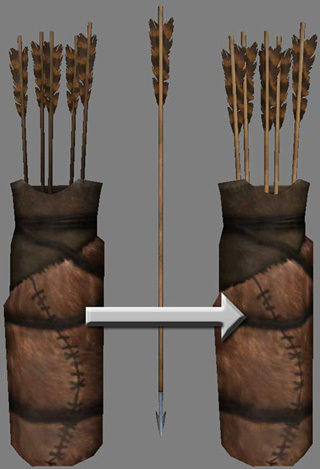 Original quivers using fake arrows. They are smaller in size. I replaced them with real arrows. 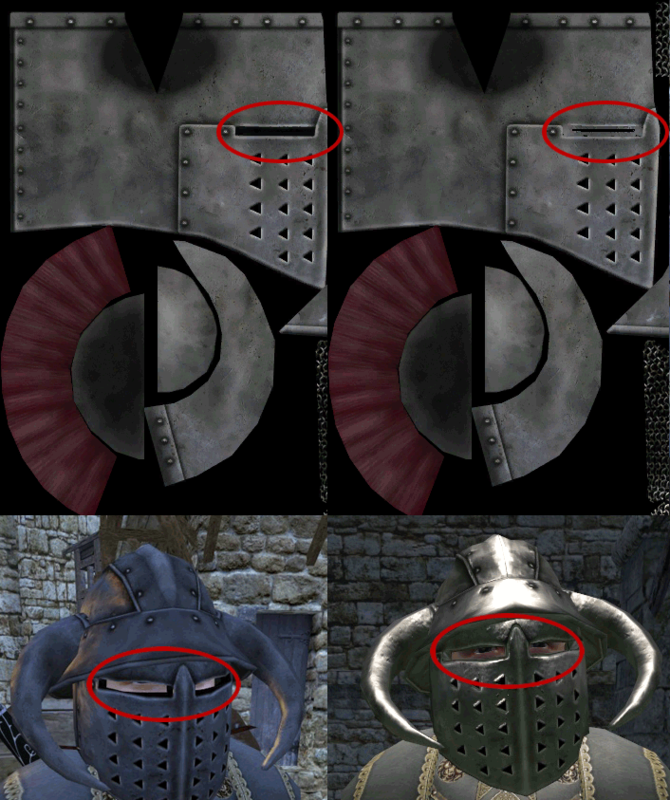 But in the picture with all the shields, the one right on the left are u gunna release that armour? This armor from "With fire and sword"
My favorite mod "The Wedding Dance"
There is no "warhorse_new.dds" in my pack , but it is required for the model "horny_charger_plate". 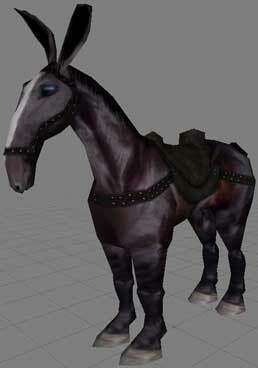 You need Warband 1.127 or higher (Mount&Blade Warband\CommonRes\warhorse_new.brf). Also, you can simply remove "horny_charger_plate" from spak_meshes.brf (model, material, 2 textures) (don't forget about item_kinds1.txt). 2da12klo12d: heh... from my head) Something wrong? 2[S.A]: helmets and swords have been updated. 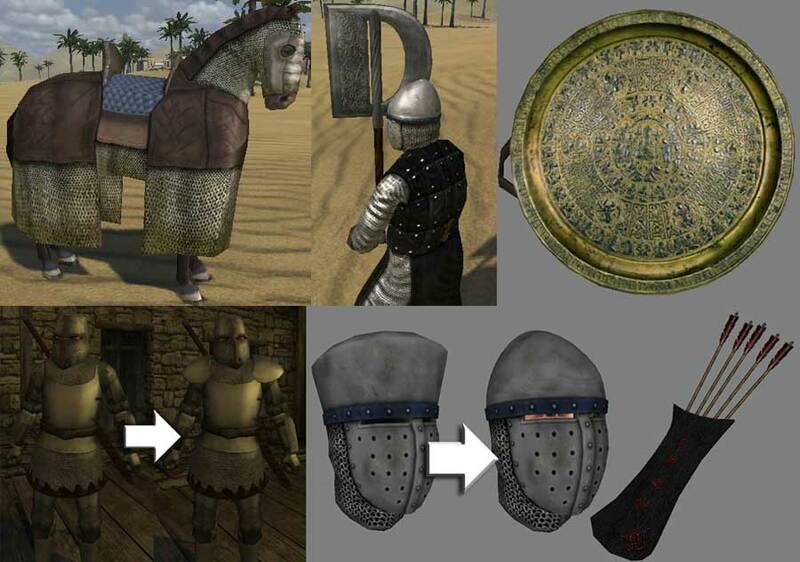 In any case you need to use Morgh's Mount & Blade Warband Mod Tools (properties of items insane). 2Demon LTU: I think that you have a problem with the order of loading textures. 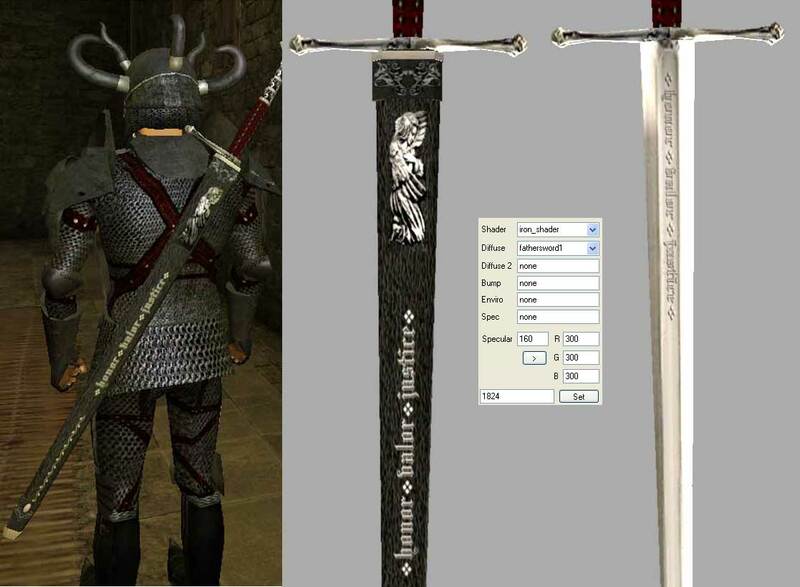 I've downloaded all files (items, helmets, swords) and put them on a clean module (I use Warband 1.127 en). I have everything works fine. You need to use OpenBrf. I don't know what could be causing this problem. Use OpenBrf. Do not add all items at once. 2alamicu777: sorry, I'm not sure I understand your question. "get_object failed for texture manface_young"? All files are the same. Method No.2 use OpenBrf to remove "WHG_normalmap.dds" and "WHG_specular.dds"
Sorry, I forgot to remove "WHG_normalmap.dds" and "WHG_specular.dds" (fixed). 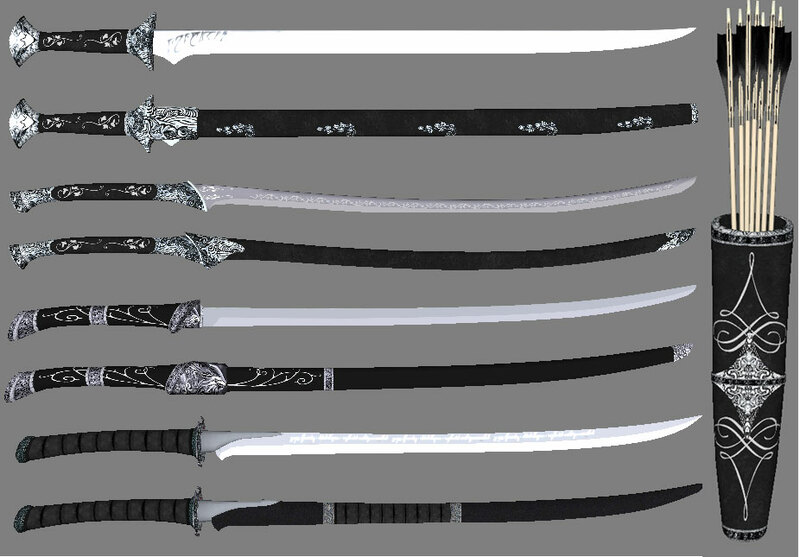 "Father's Sword" from "Wedding Dance". Probably you have some meshes with identical names. Find them and rename. For direct download copy the link to the URL bar. 2Devil Keyz: I don't know how to help you. The error was in the "spak_arrow.lod3". Fixed. 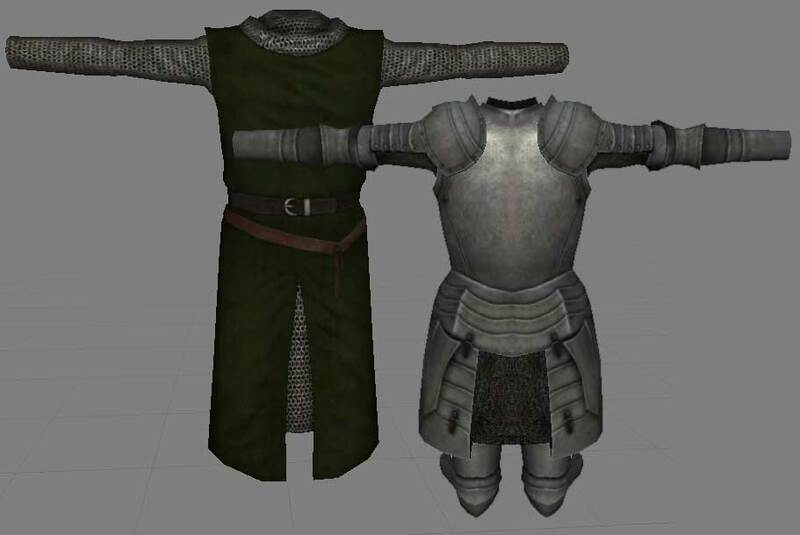 2Derfel: This armor from "With fire and sword"